Hull Fashion Week (HFW) hit the streets of Hull during early April, a series of events all around the city centre from the 4th to the Finale on the 11th. One of my favourite events was the Blogger Event hosted by Hugh Rice, who were the official catwalk and stage sponsors. If you think the name sounds familiar I wrote about them in my Behind the Scenes with Hugh Rice in 2014. As I finished work for the week and headed straight out to meet the team at Hugh Rice and some of the other #HullBloggers I was a little concerned I might be late, but fate was kind, the roads were clear and I found a parking spot! 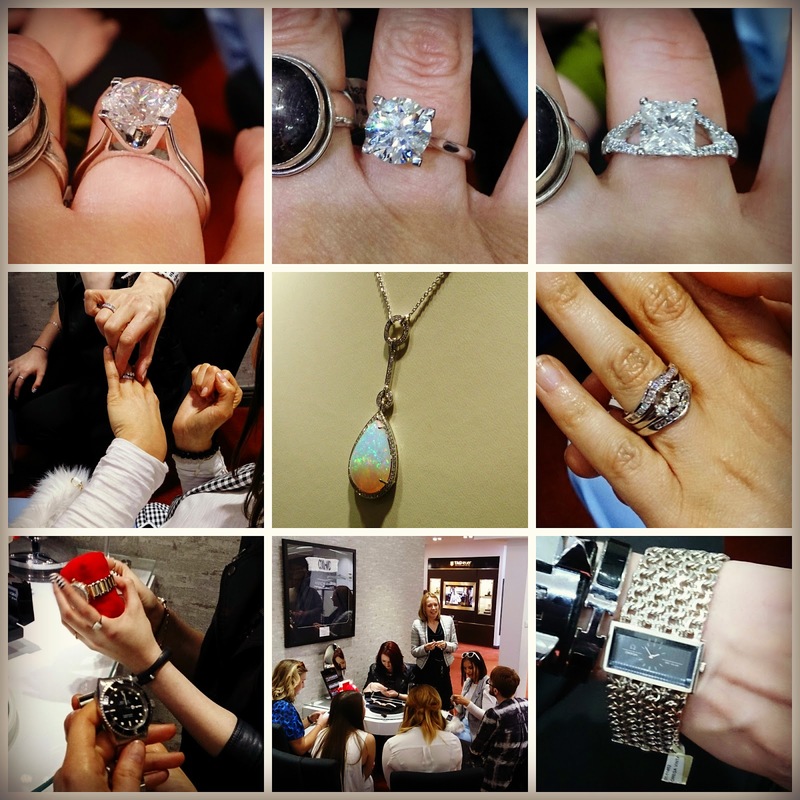 A quick tour around the store and then it was time for some research, being already familiar with Hugh Rice I headed for the part that I was very unfamiliar with but the one I intended to change on this trip - Pandora Rings!! I keep meaning to go shopping for these and this seemed like an ideal opportunity... and taking advantage of the superb assistance from Kayleigh at Hugh Rice, away I went! I spent a lovely time ring shopping and I've narrowed it down to that lovely Black Spinel Ring in the main picture as my first choice, which is unusual for me in that I don't normally suit rings that sit quite tall on my finger but that one was perfect. I think I'm also going to stick the star ring and the hearts ring on my list too... and probably a few others that I haven't photographed... I'm very taken with these!! Time for a few nibbles and to pop that empty glass somewhere and on to the next treat, the team at Hugh Rice had organised for us to see more of the jewellery they sell; ranging from "definitely out of my price range but please can I try it on anyway" to vintage and preloved pieces. I think we were all a bit enamoured with some of these and we had our own favourites. I have to admit my inner geek came out during the next part as whilst people were getting their jewellery cleaned I got a bit gaga over the workbenches and tools... I think lampworking in a jewellery workshop is beginning to rub off on me a bit? 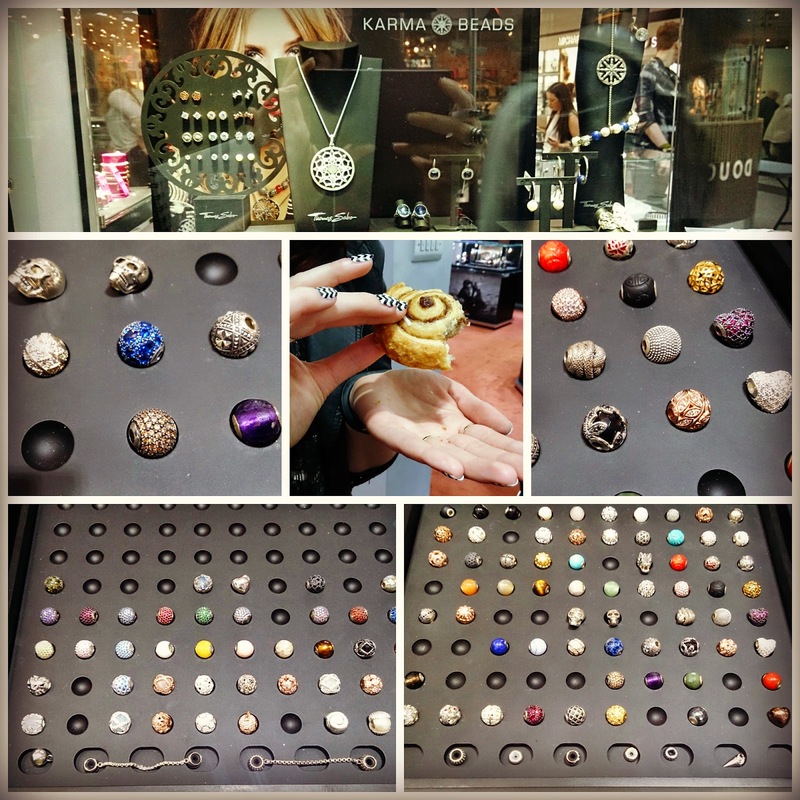 We had a great time wandering around Hugh Rice, I returned to enjoy some of the new Karma Beads whilst we also indulged in some more of those delicious pastries. We had one last surprise waiting for us as the team at Hugh Rice had prepared us some goody bags... obviously being bloggers we have to photograph them first! So, what was in the surprise Goody Bag? Well you'll just have to come back next week month* to find out! It was time for the #HullBloggers to say good-bye to the team at Hugh Rice and head out in search of some food to round off the day! Any favourites from these photos? What would you choose? although not at the same time as that would just be dangerous!! I *love* vintage jewelry. It's like its history gives it a certain layer of extra charm. I love that necklace (opal, I think?)! It would also be fun to see the Karma beads in person. Although that might be the start of a new bead line - eeek! That opal on the necklace was absolutely stunning! I love opals. Although I would never be able afford one like that, I can totally appreciate it - I've always had tastes WAY above my budget line. I did hover around the Karma beads a while, between them and the Pandora rings I was quite busy, did manage to see lots of other stuff but some of which I've already covered in the blog previously so didn't want to necessarily repeat myself. Goody bag post was due Monday but I've been stupidly busy and getting the bus ready for a trip, so might be later on next week as don't think I'll get to finish it before I go away! Still makes the wait even sweeter! I was definitely eyeing them up, they looked like they'd fit my electric bead reamer and I don't have anything to make a depressed hole for when I make a wonky edge (my ends are for cleaning the inside of the cores only) so I was wondering if one of those might work! Really I just need to concentrate on making a good puckered edge to start with! Thanks for the comment about the photos, I always try and tell the story from my eye view, so the photos aren't always the obvious ones. Love the photos! The Pandora rings are cute. Thanks Sherry! 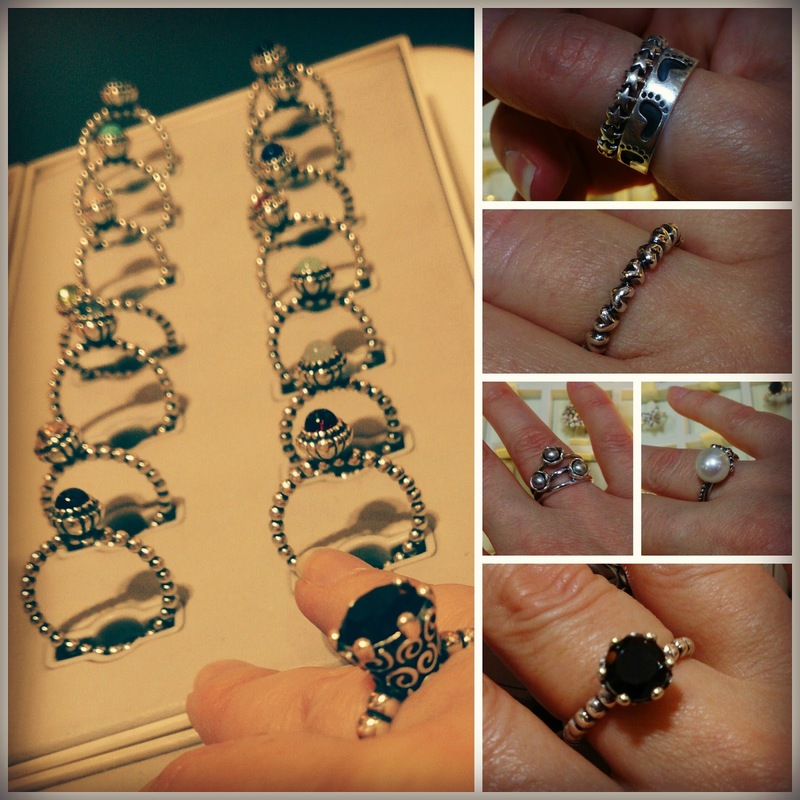 I love the Pandora rings, they're definitely on my list! I would have had one by now but I spent my "shiny budget" on raw glass for bead making so I'm waiting to see how I do later on in the month!